The industrial past of Gowanus, Brooklyn is rapidly disappearing as the neighborhood transitions into a more mixed-use future. As the low-slung factories and warehouses continue to disappear, the iconic, eight-story, Kentile Floors sign could go with it. 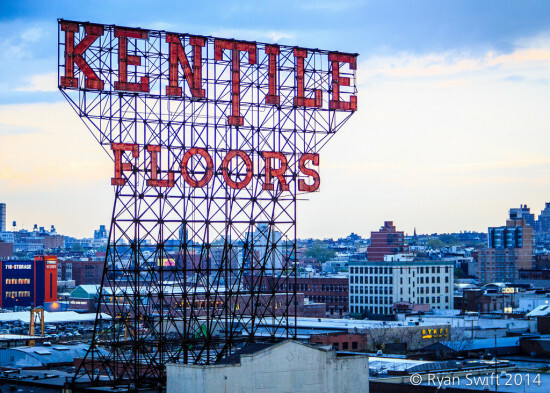 The Kentile sign has been towering above the neighborhood since the mid-20th Century and even outlived the Kentile factory, which shuttered in the early 1990s. 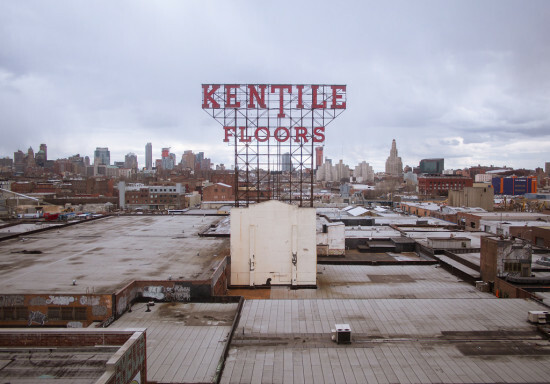 But in April, a permit was issued for the building’s owner to dismantle the sign, and scaffolding has since been spotted next to its red letters.